This is my last series of posts before I head off to Miami, and I’ll try to pack in as much as I can about the November shows in New York. The links above are live, so use this post as your home base and scroll down, or just click from above. 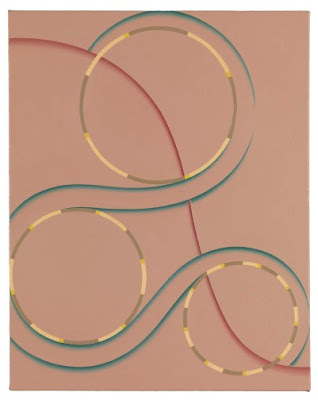 November was a glorious month for geometry and abstraction: Tomma Abts at David Zwirner, Chris Gallagher at McKenzie Fine Art, Ron Gorchov at Nicholas Robinson, Al Held at Paul Kasmin, Lisa Hoke at Elizabeth Harris, Beatriz Milhazes at James Cohan, Stephen Westfall at Lennon Weinberg, Kevin Wixted at Lohin Geduld, and a terrific smal painting by Larry Zox at Stephen Haller. 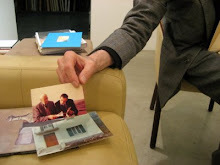 Some of these shows, like Gorchov's at Nicholas Robinson, run to early December; others, like Abt's and Westfall's, continue almost to the end; Held's at Paul Kasmin, continues into January. 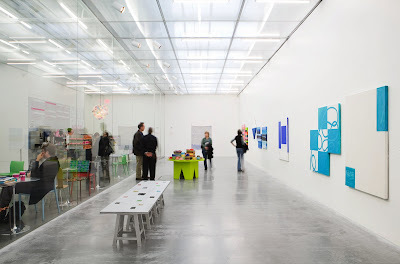 I’ll keep my commentary short, but one way of giving you my take on these exhibitions is to post two or more shows at a time—each pair or group saying something about the work and my response to it. 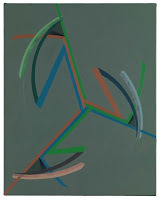 Both Beatriz Milhazes at James Cohan and Tomma Abts at David Zwirner presented spare shows. 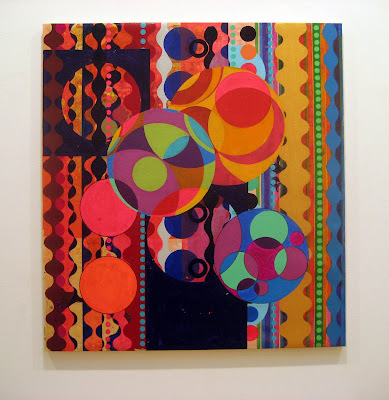 Milhazes offered one large painting per wall; Abts, several small paintings per each very large wall. Size aside, they couldn’t have been more opposite. 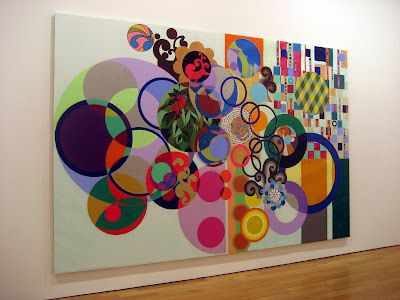 Milhazes kaleidoscopes the grid, geometry, Carnaval, textile design, folk art and botany into a throbbing samba of up-against-the-picture-plane abstraction. 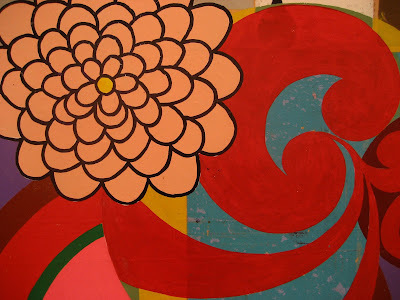 Her paintings are a non-pharmacological high. 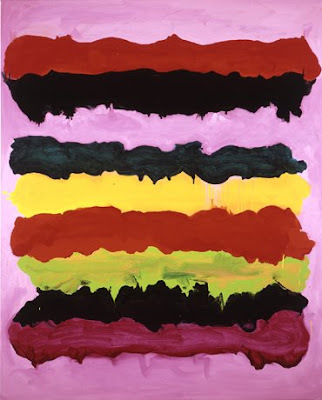 They’re big, joyous, warm, physically expressive, wilfully chromatic, unabashedly beautiful. The work is so richly detailed that every visual toke—er, detail—offers something big and fabulous; even her paintings have paintings! 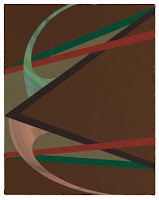 Against this extravagantly saturated tropicalismo it’s probably unfair to make comparisons, but I found Tomma Abts’s paintings stingy and tight, like the kid in school who encircles his paper with his left arm to make sure no one can catch a glimpse of what he’s writing. 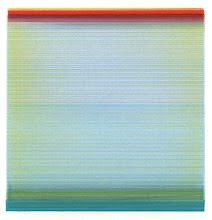 I liked her recent show at the New Museum well enough, and I can appreciate the intellectual rigor of the work here, but in this show her coolness struck me as cold and, well,withholding. The tonal hues seemed too gray, the geometry too quirky, too labored. 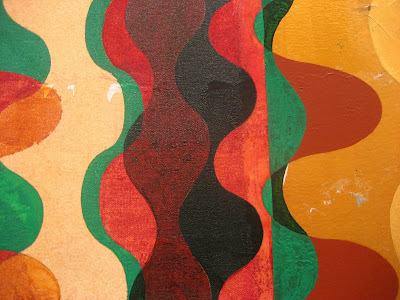 There are layers and layers of paintings under the surface—Abts’ process is to let the work grow intuitively from this mulch, so to speak—but I left feeling that while she might have planted plum tomatoes, she ended up with radishes. 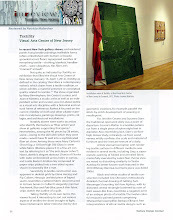 The exhibitions by Al Held and Lisa Hoke are worlds apart, and that’s what makes their work so interesting to pair in one post. 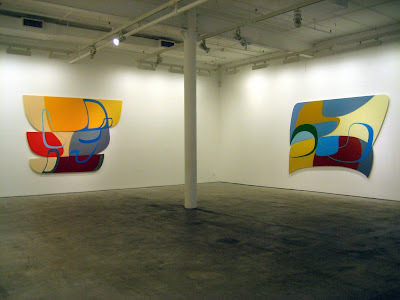 Held’s paintings are large and visually voluminous. 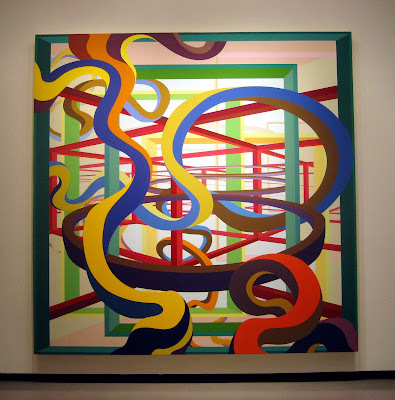 This is a guy (1928-2005) who ate space for breakfast, and so nourished, turned out vast and complex worlds of interwoven and intersecting geometries. 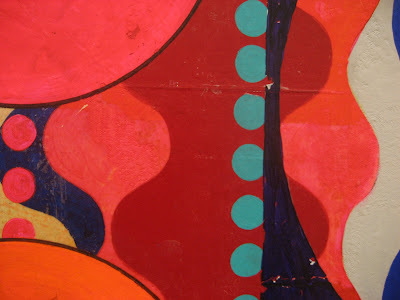 If the logic is coolly Euclidean, the polychrome palette is wildly sensual. What a clash! Your first resolution for the New Year: See this show. 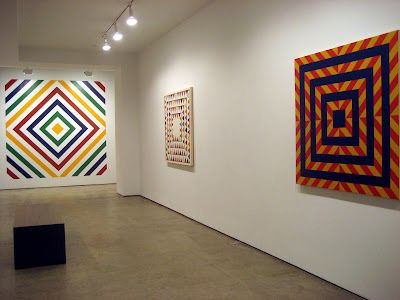 It’s up at Paul Kasmin until January 10. 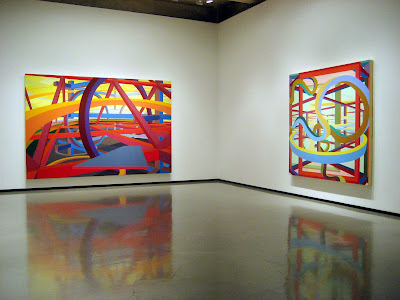 Held: Installation view of main gallery. 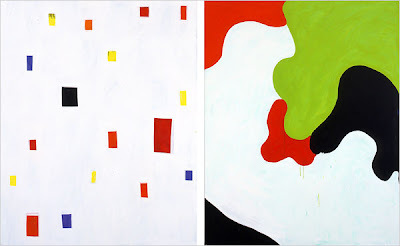 Above: The First Circle, 1985, acrylic on canvas, 60 x 198 inches; and Roberta's Trip, 1985, acrylic on canvas, 96 x 144 inches. 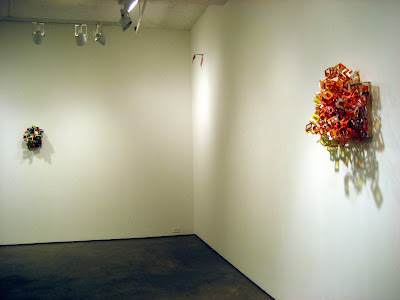 Hoke is known for her room-size installations with materials like paint in cups, filter gels and aluminum sheets, but for her show at the Elizabeth Harris Gallery (now down), she made a group of small wall constructions and freestanding sculptures. 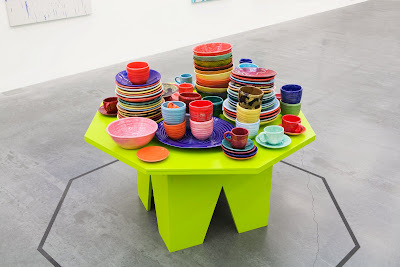 Called Notes on Making, the show was not so much a study for larger works, according to the gallery, but reminders to herself of ideas on color, form or construction. 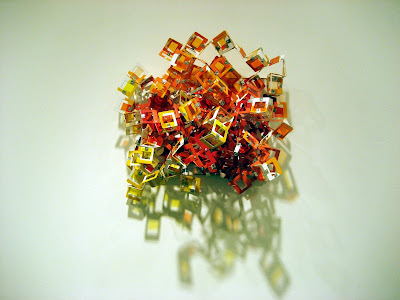 These sculptures have the same kind of volume and space as Held's gargantuan paintings, but the scale is literally matchbox size. 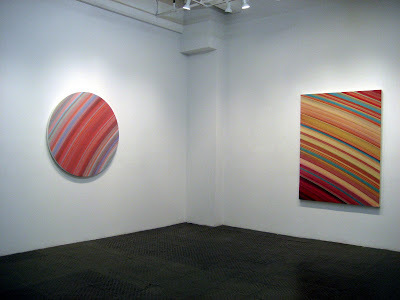 Her physically dimensional work makes use of shadows that virtually double the size of the work, creating a neat push/pull between dimensional and flat, color and its achromatic counterpart. I’m mixing all kinds of geometry here. 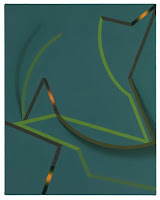 The hard edge is the uniting factor in the work of Stephen Westfall at Lennon Weinberg, Kevin Wixted at Lohin Geduld, and a wonderful small painting by a master of hard-edge abstraction, Larry Zox, at Stephen Haller. 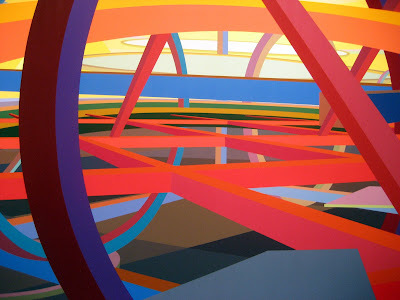 And then there’s a circular element in Wixted’s work that moves us effortlessly into the to the other-worldly stripes of Chris Gallagher at McKenzie Fine Art. 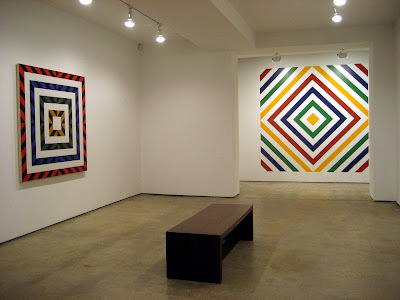 Westfall’s work, including a marvelous composition painted onto the far back wall, contains resonant references to quilts and textiles. 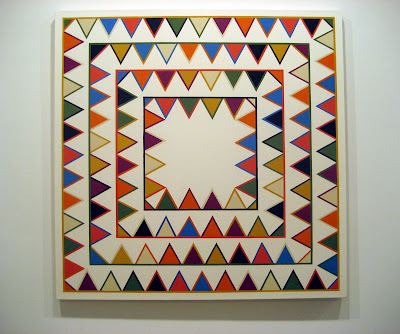 Most of the works are concentric diamonds or squares within a square format, so that angularity is the predominant element in each work. 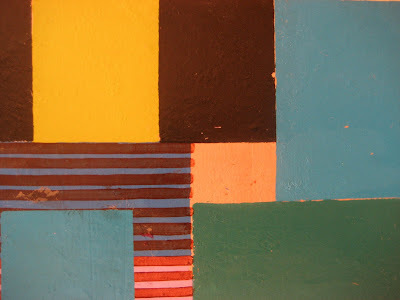 The compositions are “pieced” together from stripes or triangles. 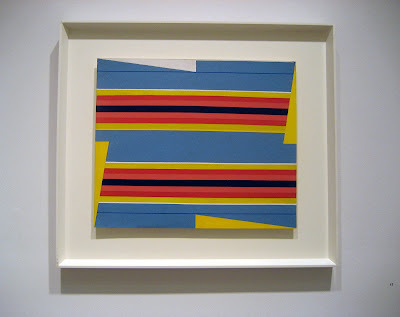 My favorite is a four-tiered square in which pennant-like triangles, limned in a contrasting or complementary color, create an elegantly kinetic formalism, completely beautiful to my eye—but then, dum, dum, dum, dum, a shark-like menace asserts itself. Beauty with bite. 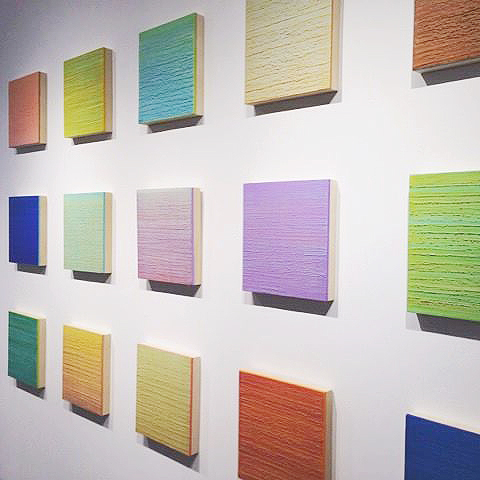 The show is up through December 20. 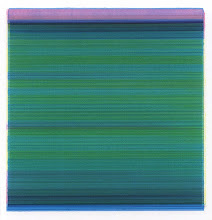 Zox, whose work softened with looping gestures and prettier colors toward the end of his career, is represented at Stephen Haller with an earlier, small work of serape-like stripes. 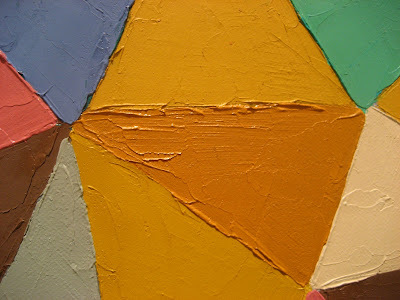 Into this composition he placed an acute angle along each edge so that the entire composition loses its absolute rectangularity and appears to be set slightly askew. 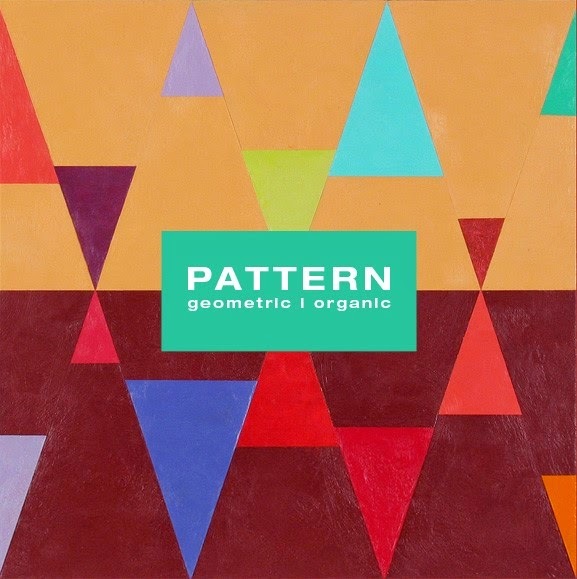 Wixted hasn’t given up his architectural references, but fluid elements in his geometry suggest a botanical reference—bushes or trees—and some feature intersected circles. In the "botanical" group, I particularly like Flowering Tree-Yucutan, in which a fluid mass of triangles, barely contained within its perimeter, balances precariously on the points of two triangles. Visually, the whole composition threatens to fall apart before your eyes. It doesn't of course, but the tension is exquisite. In the latter group, circles of different diameters appear strung like beads on a flat coral ground. 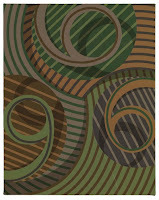 The placement of the intersection within the circles is different in each one, so they appear to be spinning, some pushing up against the picture plane while others recede into the distance. It’s playful and kind of cosmic. 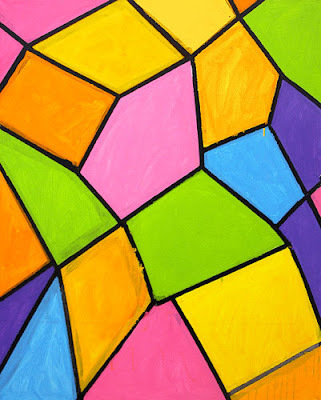 For the truly cosmic, you won’t do better than the prismatic paintings of Chris Gallagher, which seem less like paintings than windows or portholes into a vast and hyper-chromatic universe. Differences in vastness are suggested by stripes with a greater or lesser degree of curve. The edges of the stripes themselves have a bit of a bleed, but they hint at a much more immense geometry. 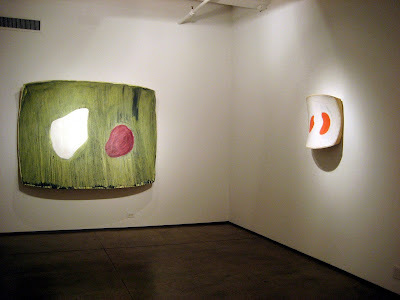 And those tondos are neat slices of shape on their own. 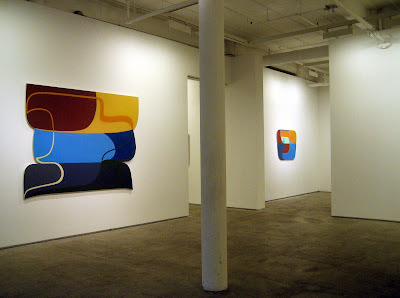 The show is down, but the gallery website offers a page of all the works, which can be clicked and shown larger. 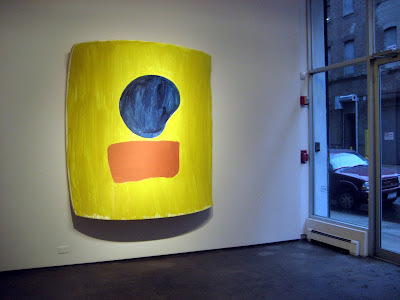 Joanna Pousette-Dart and Ron Gorchov are making very different kinds of painings, but I’ve put them together here because their canvases are shaped and it's a place to start a conversation about the two artists. 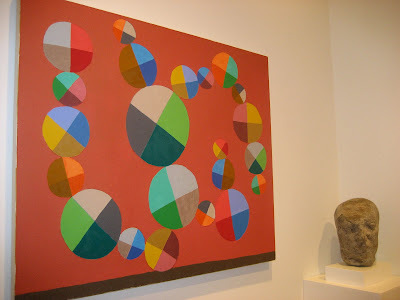 Pousette-Dart just squeaks into my “November” category. 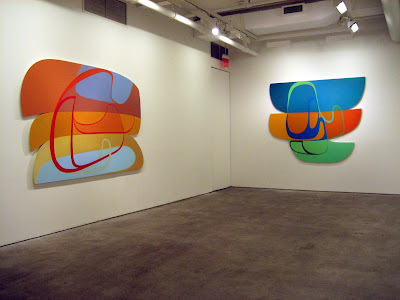 Her show at Moti Hasson ended on the first day of the month after having been up all of October. I wanted to write about it then but , uh, there’s this other thing I do that requires most of my time. 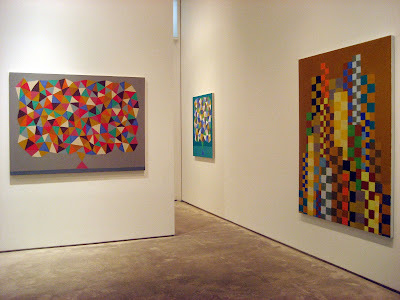 Then I walked into the Gorchov show at Nicholas Robinson, and I knew I had found a way to talk about both artists’s paintings in one post. 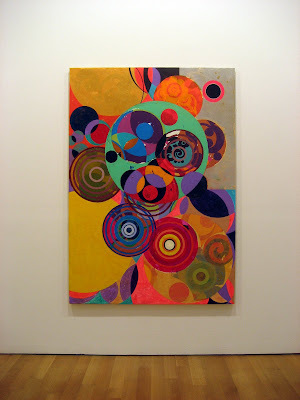 Pousette-Dart makes paintings that are chromatically gorgeous. The shapes are quirky, almost cartoony—like a Jetson’s version of “modern art”—but they're elegant, with an almost italic flow. 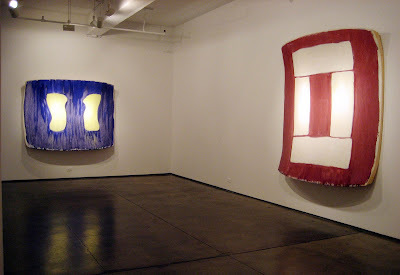 Correspondingly, a calligraphic gesture threads its way over the surface of each painting, which is composed of two or three flat, canoe-shaped panels that nest or stack. 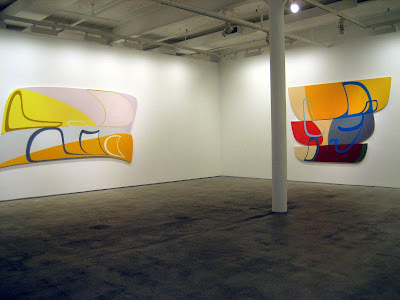 There's a strong sense of movement within each painting--glide is the word that comes to mind--so perhaps the visual reference to a water vessel was intentional. 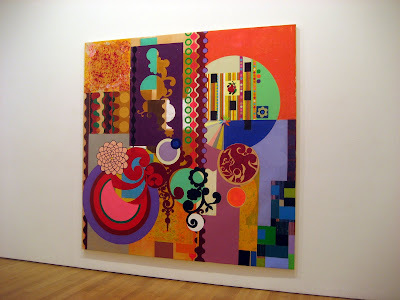 I’d call the work lyrical geometry, although lyrical abstraction would probably be closer to the mark. 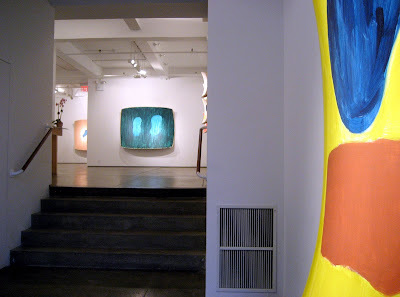 The paintings by Ron Gorchov at the Nicholas Robinson Gallery through December 6 are not necessarily geometric either, but they embrace geometry as much as they embrace any number of other elements: abstract expressionism, biomorphism, sculpture, architecture. Let’s start with the obvious. 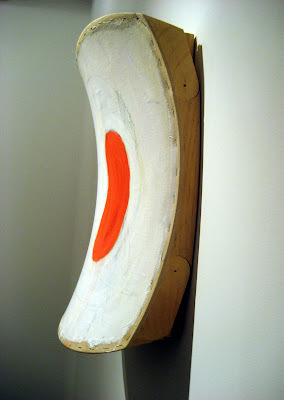 Whether large or small, Gorchov’s canvases are kind of saddle shaped and the color is by turns odd or beautiful. 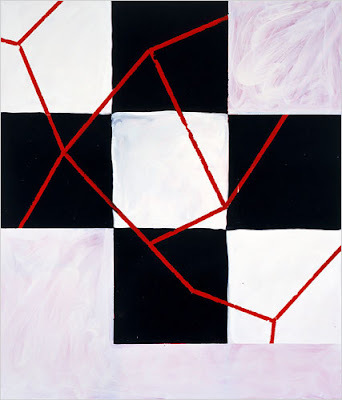 There are typically two biomorphic shapes in the center of each canvas; sometimes there are four somewhat more geometric elements placed to make an open square or rectangle. These shapes seem to hover just slightly above the surface. And because of the saddle shape of the canvas, which both bows out and dips in, each painting itself seems to hover at the wall. Approach a painting you’re not quite sure how close you can get without hitting your shins against the frame or bumping your nose into the canvas. I love when that happens! Not the bumping but the ambiguity of where the work is in relation to the wall, and where you are in relation to the work. 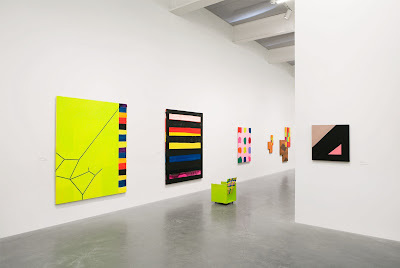 I’m packing for Miami—actually, by the time you read this, I’ll be there—so I’ll end the text here and leave you to see the shows on your own, whether on this post or on the respective gallery websites. 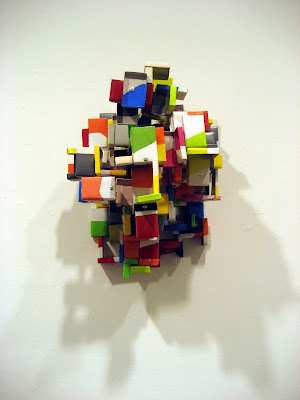 The frame, below, qualifies as sculpture, don't you think? 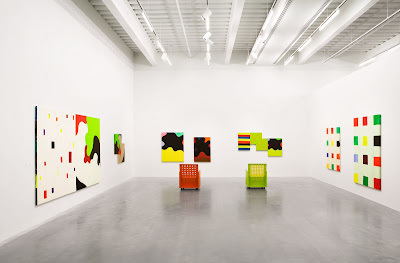 Mary Heilmann turns the idea of the “tortured artist” inside out. 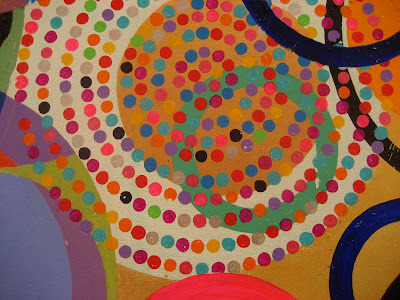 Her joyful paintings seem effortless and spontaneous. Her grids and stripes are unmeasured. 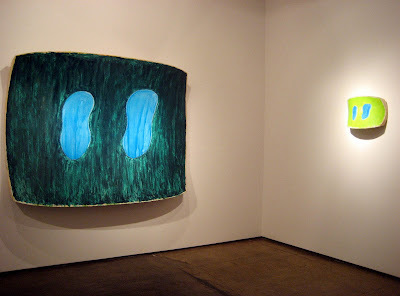 She makes big, blowsy shapes with thinned paint and loose brushwork, with seemingly no attempt to do anything about the resulting drips except to let them have a life of their own. 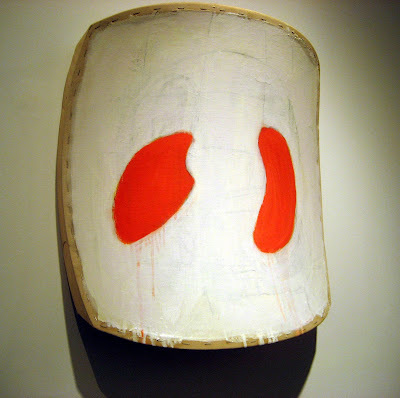 Sometimes she paints over vast tracts of the canvas; other times there’s a pentimento or perhaps an image intended to be visible beneath the surface. 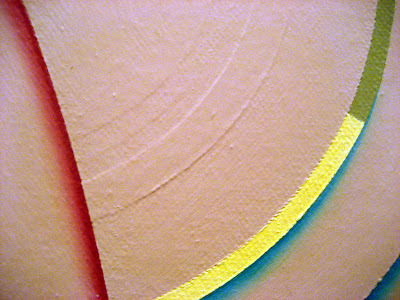 Lines meander geometrically over the surface, occasionally from canvas to canvas, as many works are composed of multiple units. 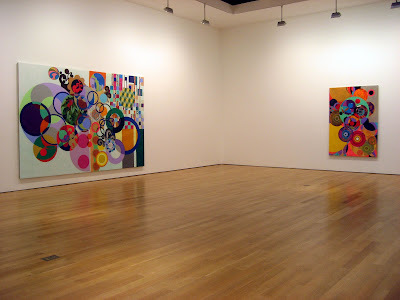 And speaking of influences, I also like the way the installation places adjacent paintings with related visual themes, a glimpse perhaps of how one idea leads to another, or perhaps doubles back on itself. 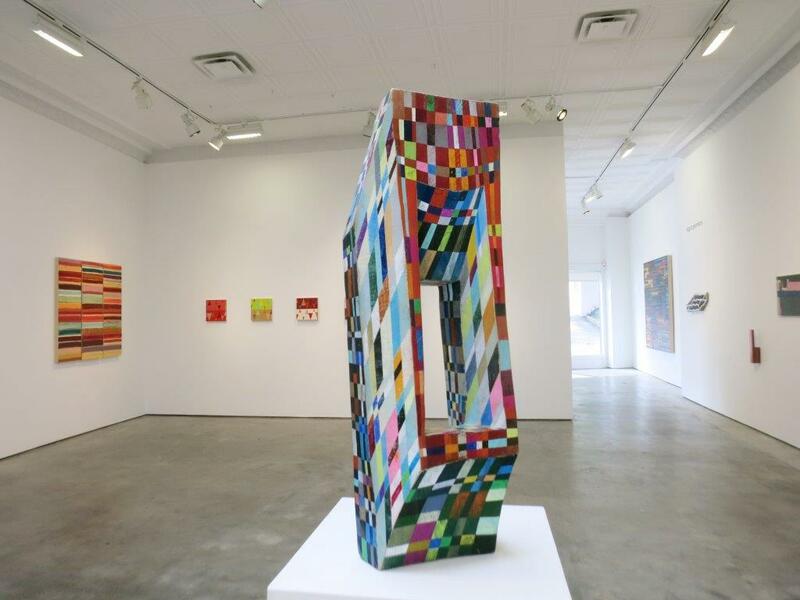 Heilmann’s work is geometric abstraction with its feet up. 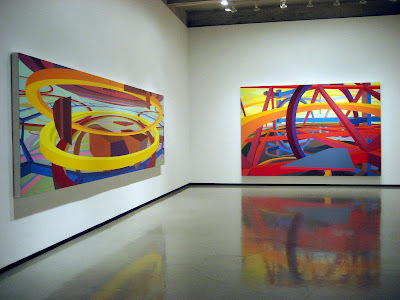 The formal elements are in place, but there is gestural movement in some paintings, organic forms in others. 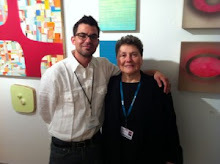 She has been painting and showing for 40 years, and during that time she has also made ceramics and furniture. 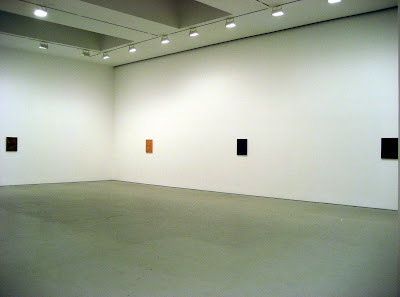 The installation at The New Museum makes sense of it all. 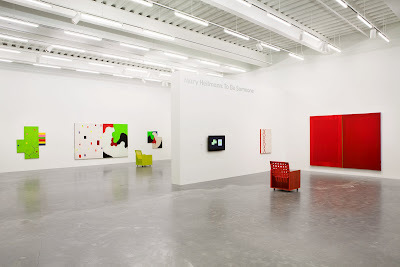 This has been a fabulous and well-earned decade for Heilmann: solo shows in New York, Antwerp, London, Zurich and elsewhere; featured-artist status at Basel Miami via Hauser and Wirth; simultaneous covers on Art in America and Art Forum last year; this beautifully installed solo at the New Museum, which originated at the Orange Country Museum of Art, and a gorgeous accompanying catalog; a juicy feature in the New York Times. Could a MacArthur grant be next? 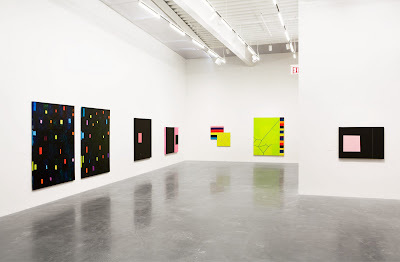 Mary Heilmann: To Be Someone is at the New Museum through January 26. A Little Crazy . . .